Our first professional development event went smoothly, thank you to our panelists and undergraduate mentees for showing up! You have demonstrated that the current deficit of diversity in science is not because students from underrepresented backgrounds lack interest, quite the contrary. The Gremel Lab is looking for undergraduate research assistants! We are at a time in history when our future leaders openly disparage women and racial minorities. Join us in making a peaceful demonstration agaisnt the continued marginalization of vulnerable communities by participating in the San Diego Women's March this Saturday, January 21st. Have your GRE scores ever stopped you from applying to your dream graduate program? Underrepresented students may not feel up to par with the expectations of graduate school given their accessibility to test prep and a the lack of mentors from their background. Interestingly, a new study by Joshua D. Hall at the University of North Carolina "found no correlations of test scores, grades, amount of previous research experience, or faculty interview ratings with high or low productivity among those applicants who were admitted and chose to matriculate at UNC." Instead, for UNC graduate students, "ratings from recommendation letter writers were significantly stronger for students who published multiple first-author papers in graduate school than for those who published no first-author papers during the same timeframe." It appears that a solid mentorship foundation may be a better key to success in graduate school than studying for standardized testing. "We conclude that the most commonly used standardized test (the general GRE) is a particularly ineffective predictive tool, but that qualitative assessments by previous mentors are more likely to identify students who will succeed in biomedical graduate research." For more, please check out the full study here! The Graduate Division and Counseling and Psychological Services (CAPS) will be running the Graduate Students of Color Forum this upcoming Winter quarter. Check it out if you want to chat with other open-minded students about your experiences and progress throughout graduate school in a casual and respectful setting! 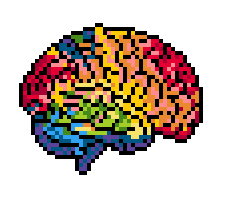 As of the 2017 Winter quarter, Colors of the Brain is now an affiliate organization of the Raza Resource Centro (RRC) at UC San Diego! 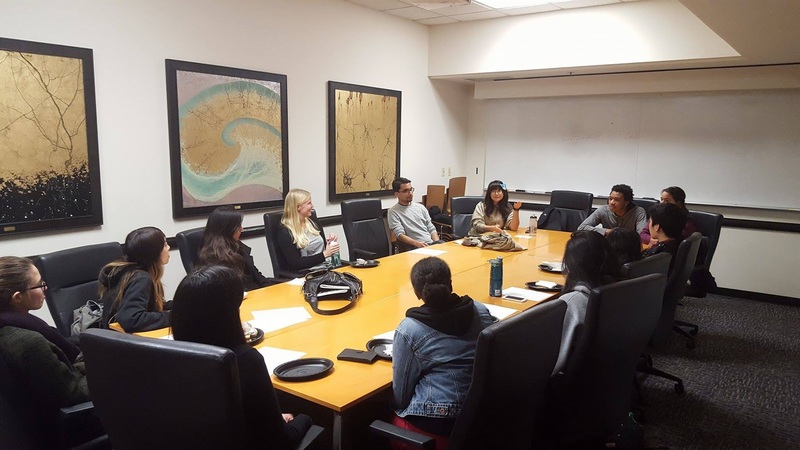 The recent conception of the RRC stemmed from an involved campus community that called for resource and support for UCSD's Chicanx and Latinx student population. Our organization’s mission to create a space and community for underrepresented scientists fortuitously intersects with that of the Centro’s. Not only will this serve as a supportive space for Latinx students interested in science, but it will also serve as a space where allies can support Latinx student’s access to a higher education. To ameliorate barriers impeding Latinx success in academia, CoB will also collaborate with RRC key resource providers like SACNAS, ABRCMS, and NCORE, to name a few, from which to tap career opportunities for our graduate members and mentees. This would include conference travel awards for research conferences aimed at diversifying STEM, and research positions in other universities with similar goals. Finally, CoB’s intersection between Latinx students and allies interested in diversifying STEM will create a space where conversations about social justice in education will be encouraged and respected. One event that the Centro and CoB plan to execute together is a Fall workshop on graduate school applications. A lot of the knowledge gained by those who make it into a research program ends up going to waste by not being disseminated to the next generation of interested students. We can aim to end that lack of transition of knowledge by having a panel where underrepresented graduate students candidly talk about applications, the interview process, and coping with life in an environment where we’re often the only one with our cultural background. Success for this workshop will be directly measured by having undergraduate attendees sign up for our mentorship program so that we can hold ourselves accountable to our mission. A follow-up event during the Winter and Spring quarters will be mock graduate school interviews and research fellowship applications for students who are interested and eligible.